Did you know that Marshall was once known as the "Chicken Pie City?" Since it was midway between Detroit and Chicago the steam engines would stop off to cool down on the route. Since there were no dining cars back then this would give passengers just enough time to eat some chicken pie before the journey continued. It’s the historical equivalent of the modern chicken pot pie, but with less vegetables—none—and more bacon, the only other ingredient. So chicken and bacon in a pie pan. Okay. One other thing to clear up about Marshall's historic Chicken Pie town title. 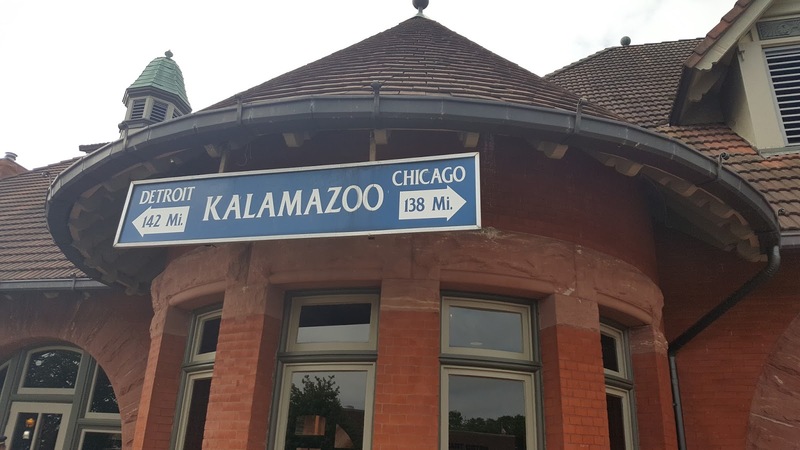 Marshall isn't exactly midway between Detroit and Chicago (that honor goes to Kalamazoo) but as Marshall is the older city, it was the largest community near the midpoint.